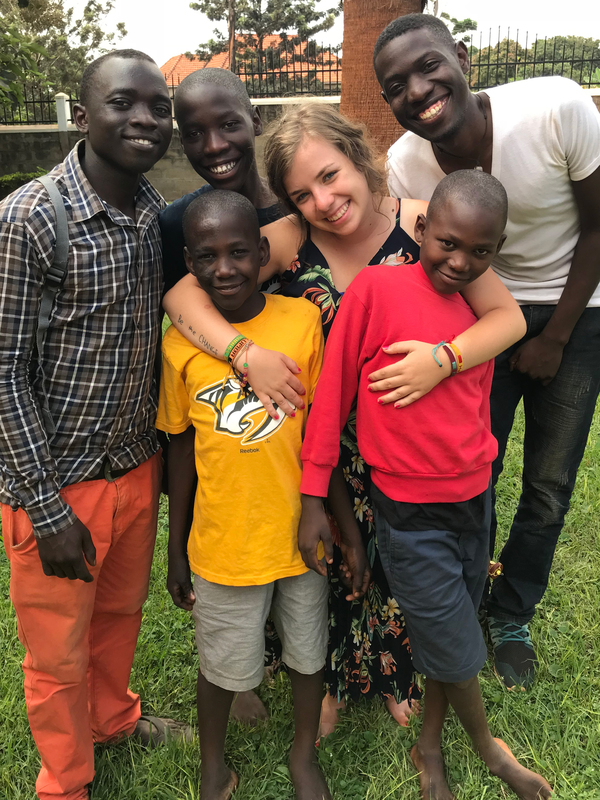 Founded in 2011, by then 11 year old Mallory Fundora, Project Yesu was formed out of a simple wish to help orphaned and vulnerable children in Uganda. Project Yesu provides some of the critical needs necessary to break the cycle of poverty – food and education. By connecting others worldwide with the passion we have for the children of Uganda – lives are being changed and hope is being sparked. In October 2011 I sat down to write my Christmas list for my parents, I looked around my room and I realized there was nothing I needed, nothing I wanted. But the more I thought about it, the more I thought about the children in Africa, and how they weren’t going to get Christmas presents, and there was a lot of things that they needed. So, I sent my parents an email with my Christmas list, one thing on it, to help Africa.See, in August of 2010 the Ugandan Orphan Children’s Choir came to my church to perform, and I got to meet the children, and they were amazing. They were so loving, and just wanted to hug me and hold my hand. The day after I sent the email my parents and I sat down and talked about what I wanted to do, and how I wanted to help. I contacted Amazima Ministries and Project Have Hope and I told them what I wanted to do, and I asked them how I could best help them. That is how Project Yesu was born. Started in November 2014 this program matches donors from around the world with children in the village of Musima who desperately want to go to school and get an education. Currently there are 250 children in our program. Education is a precious gift to the children of Uganda, unlike schools in the United States, schools in Uganda are not free and families have to make the decision between food and education for their children. No parent should have to make that decision. By becoming a sponsor parent, you have the amazing opportunity to build a relationship with your child through letters and photos. You receive your child’s report card each school term where you are able to see how they are doing in school. For more information on this program click Here. Started in June 2013. Numerous studies in the US show that children perform better in school when they have breakfast, however, many children in Uganda go to school hungry. We started this program with only 50 children, that number increased to 100 by the end of the first week, we are currently feeding over 450 children a hot porridge breakfast each weekday. For some, this is the only meal they have. We welcome donations of any amount – click on the Donate Now button on the top of the page to donate via PayPal all donations are tax deductible. Have you accepted the “Be The ¢hange” challenge? send us photos of your coin collection to post on our site! This is done through Project Have Hope part of their program is to empower women to change their lives and gives them a business so they can provide for their family. They make beautiful magazine bead jewelry. Invite your friends over and believe me the jewelry sells itself, its unique and beautiful. A portion of the sales will go towards Project Yesu and Project Have Hope. Email info@projectyesu.org to sign up to host a bead party today! Tell everyone you know about Project Yesu so we can help as many children in Uganda as we can – post about us on Facebook, on Twitter, any way you can…spread the word! Sponsoring a child is one of the best parts of Project Yesu. When you sponsor a child you are helping to give them the life they deserve. When you sponsor a child you are paying for them to be able to go to school, so they can learn, get an education and make their lives better. Getting to know my kids has been amazing, I get so excited when I receive letters and pictures from my kids, and you can be a part of it too! Our sponsorship program works in a village called Musima. In Musima many children are forced to work to help provide for their families instead of going to school. The cost to sponsor a child is $384 a year…that is only $32 a month.